The world’s second-biggest diamond has finally found a buyer. After failing to sell at a Sotheby’s auction last year, the 1,109-carat uncut stone has now fetched $53 million in a private sale to luxury jeweler Graff Diamonds. London-based jeweller Laurence Graff bought the Lesedi La Rona diamond, which was found in Botswana in 2015. The seller was the Canadian Lucara Diamond Corporation, which owns the mine. The gem, about the size of a tennis ball and weighs in at 1,109 carats, went up for auction at Sotheby’s last year, Fortune magazine reported, but failed to meet its US$70 million reserve price. It was worth the wait for Graff, which managed to grab the stone for US$8 million less than the US$61 million highest bid at the auction. According to Fortune, the stone is the largest gem-quality rough diamond to have been found this century, with the largest ever found being the 3,107-carat Cullinan Diamond, which was discovered in 1905 in South Africa. The largest cut gem from the Cullinan is the 530-carat Great Star of Africa, which sits on one of the Crown Jewels belonging to the United Kingdom’s Queen Elizabeth II. Lesedi La Rona means “our light” in the local Botswana language. Now it is Graff’s job to turn the natural marvel into several sparkling stones. 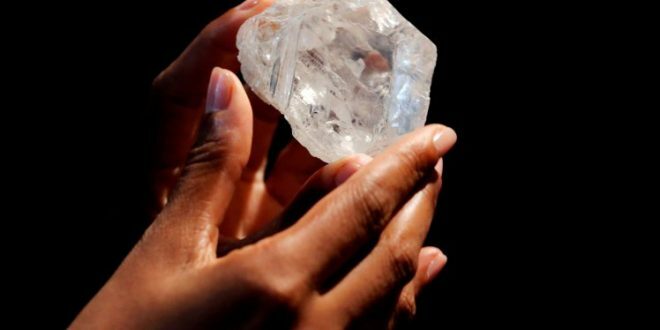 The Karowe mine, where the Lesedi La Rona was found, also yielded the world’s most expensive diamond, the 813-carat Constellation, which Lucara sold to a Dubai company for US$63 million, according to The Street. It was later sold to Swiss luxury watchmaker De Grisogono last year for an undisclosed amount. Experts say that the Lesedi La Rona fetched less money because the stone is likely to be more difficult to cut and has an inferior colour to the Constellation. “If you take the potential outcomes from the stone into consideration, the risk that the buyer is actually taking, you can now see why it wasn’t the easiest one to sell,” Lucara chief executive officer William Lamb told LiveMint.com.